This DIY crochet Easter bunny garland is an easy and cute Easter craft! 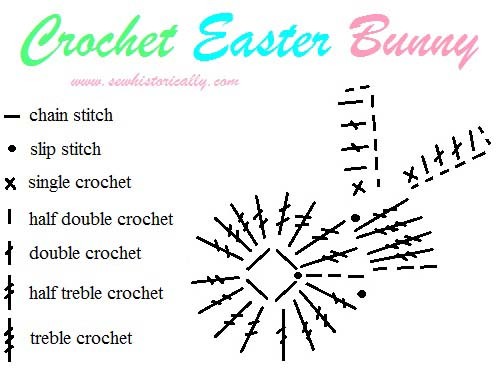 Don’t the crochet Easter bunnies with their little pom pom tails look so cute? 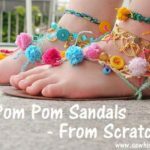 😀 And they’re a great way to use up yarn scraps. A while ago I unravelled a crochet bag that I didn’t like anymore. I’ve already used part of the yarn to make a DIY crochet top. 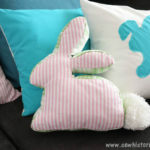 And these bunnies were perfect to reuse the leftover yarn! Yay! NOTE: I used US crochet terms. Here’s a US/ UK crochet conversion chart. 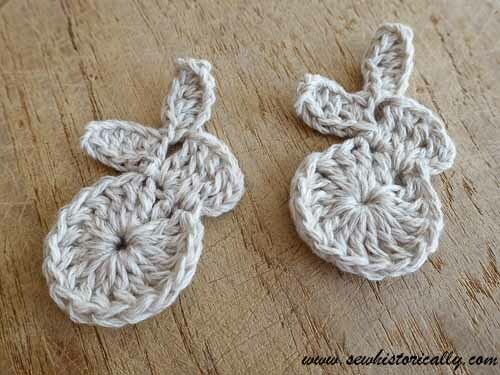 The crochet bunnies are worked in the round. 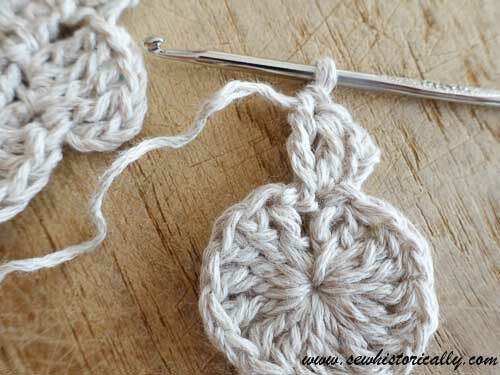 Crochet 4 chain stitches, form a ring with one slip stitch into the first chain stitch. 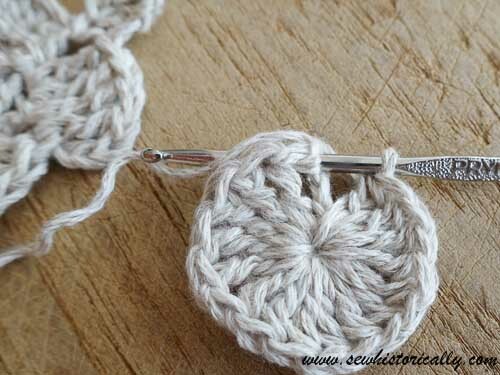 ROUND 1: Crochet 3 chain stitches and 16 half treble crochet stitches into the chain stitch ring. Finish with one slip stitch into the third chain stitch. ROUND 2: Crochet 3 chain stitches, one half treble crochet and one treble crochet into the third chain stitch of the last round. Crochet one treble and one half treble crochet stitch into the first half treble crochet of the last round. 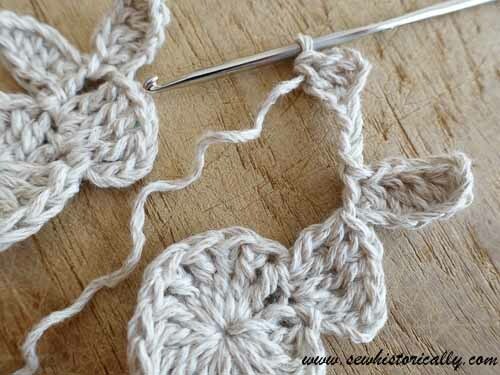 BUNNY EARS: Chain 7, beginning to crochet into the third chain stitch: Crochet one half double crochet, two double crochet, one half double crochet and one single crochet. Make another ear like the first bunny ear. 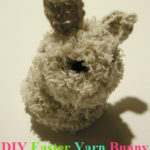 Hide the yarn ends inside the crochet bunny and cut off the excess yarn. 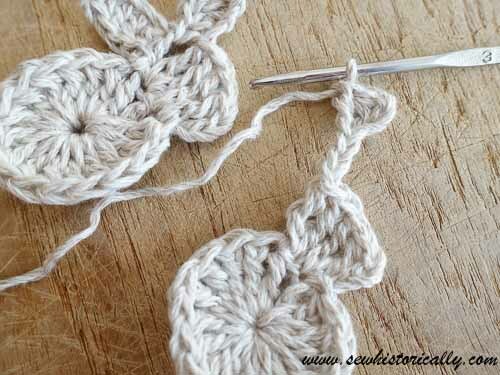 BUNNY TAILS: Now make mini pom poms for the bunny tails. 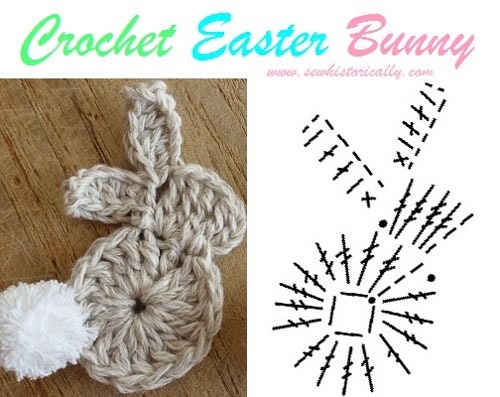 Use a square knot to tie the pom pom bunny tails to the crochet bunnies. 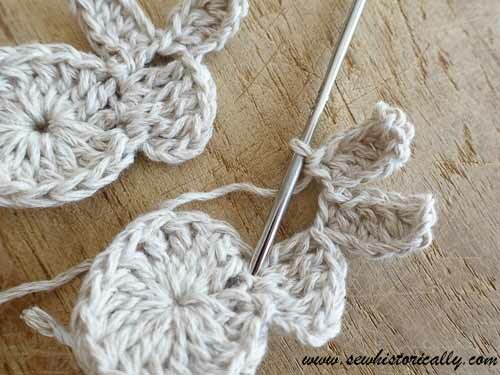 THE GARLAND: To finish the crochet bunny garland: Crochet about 10 or 20 chain stitches, slip stitch into one bunny ear, make again 10 to 20 chain stitches and attach the next bunny. The crochet Easter bunny garland was the 4th project of my Easter Countdown 2018 with 30 free Easter tutorials & recipes. Be sure to check back tomorrow for the next tutorial! 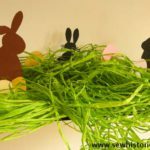 Pingback: Great Ideas -- 18 Excellent Easter Ideas! Those are so darn cute. I wish I crocheted. These are so adorable. I am pinning these so I can make them. I love to crochet. 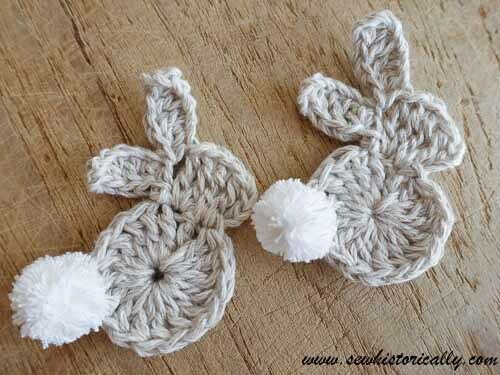 Your crochet bunny garland is adorable! How fun. Thanks for sharing with us at Snickerdoodle. Pinning to my Easter Board. Popping back by to let you know we’ll be featuring your Bunny Garland at today’s Snickerdoodle Party. Hope to see you there! Hey, Lina! 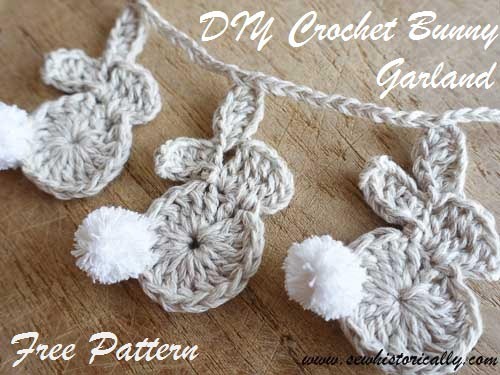 Just wanted to let you know that we loved your Crochet Easter Bunny Garland with Free Pattern so much when you shared it at the #HomeMattersParty last week, we’ve FEATURED it THIS WEEK! Hope you can check it out when you get a sec. Happy Friday!!! Lina this is just too, too cute. Makes me want to learn how to crochet. Pinning! These are adorable! I think I might make one and frame it flat with no glass. Then, the tail will really pop! Thanks, for sharing! Adorable bunny banner. Thanks for sharing your pattern. Those are DARLING! I can’t crochet worth a darn, but this is really motivating me to learn how. I might try this with my girls. Thanks for sharing! Such a lovely idea. These are so sweet. Thanks for sharing at Creative Mondays, I will be featuring these later on the blog hop. 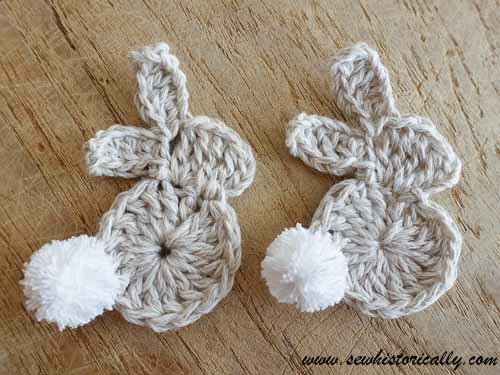 Such a sweet little bunny garland! Thank you for sharing @Vintage Charm! 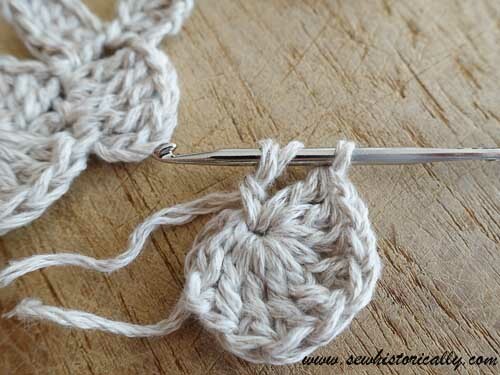 Hi Linda, do you have a UK crochet conversion for this pattern? It’s so addorable but I’m having a hard time converting it to UK stitches, I just can’t seem to make the bunny’s look right! I’d appreciate any help please!! Thanks, Amy! 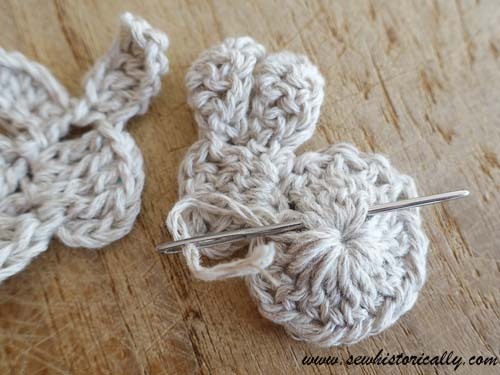 You can find many US/ UK crochet conversion charts online. Photo permission for crochet roundup. I’m Erangi from Crochet For You http://crochetforyoublog.com/. I really love to add this Easter Bunny Garland for the roundup I’m working on now. Would you mind if I add a direct link to your blog post with one image?. Please tell me. I’m waiting to see your reply. Thanks for stopping by, Naomi! I love garlands and this is one of the sweetest I’ve seen. So nice of you to share. Yet another time when I wish I knew how to crochet!!! So adorable! Saw this on the Sweet Inspo link party. That bunny garland is the cutest! I’ve always wanted to learn that skill but never have. BTW, do you know Laura from the blog Decor To Adore? You probably do but just in case, you two would be great friends! 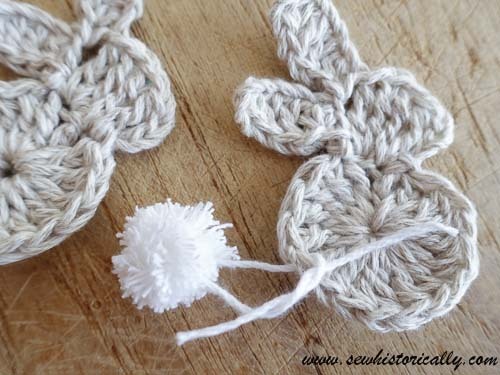 Super cute bunny garland! Thanks for sharing the pattern! I’m terrible at crochet! But these are too cute not to attempt! These are awesome! Thanks for sharing at the To Grandma’s House We Go DIY, Crafts, Recipes and More Wednesday Link Party! Have a great week and join us again! Thanks, Sheri! Have a great week too! Oh these are so cute! Even I could do this and I’m just a beginner! Thanks so much. Pinning this one! This is absolutely adorable! I wish I had the ability to knit like this because I’d make it in a heartbeat! Hello I just wanted to let you know I have featured this adorable garland at Thursday Favorite Things. I hope you will stop by and say hello and link up again! Happy Spring! How many bunnies do you put on your garland? I made just a short garland but you can put as many bunnies on your garland as you want.